The weather forecast for today wasn't great. 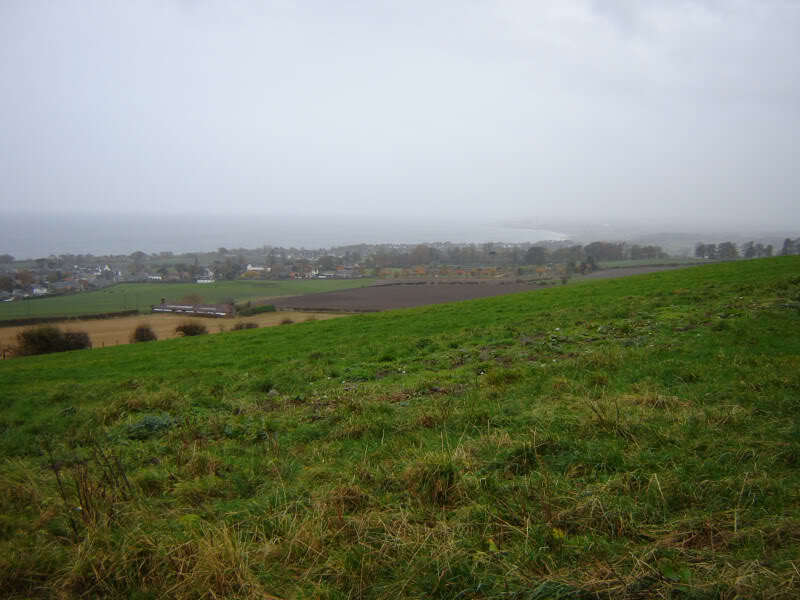 I set off for Fife this morning hoping to avoid the worst of the weather by staying East and staying sub2000ft. 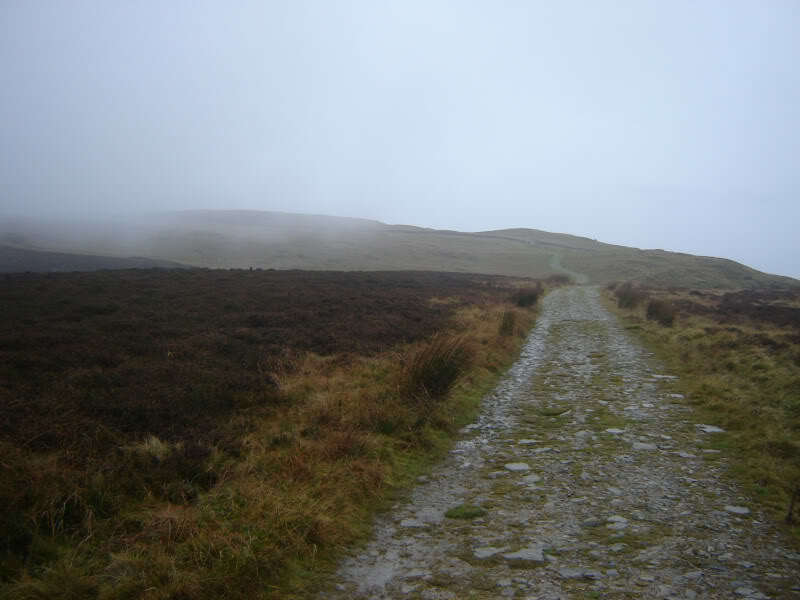 The plan didn't work as I ended up walking in clag and rain for most of the day. 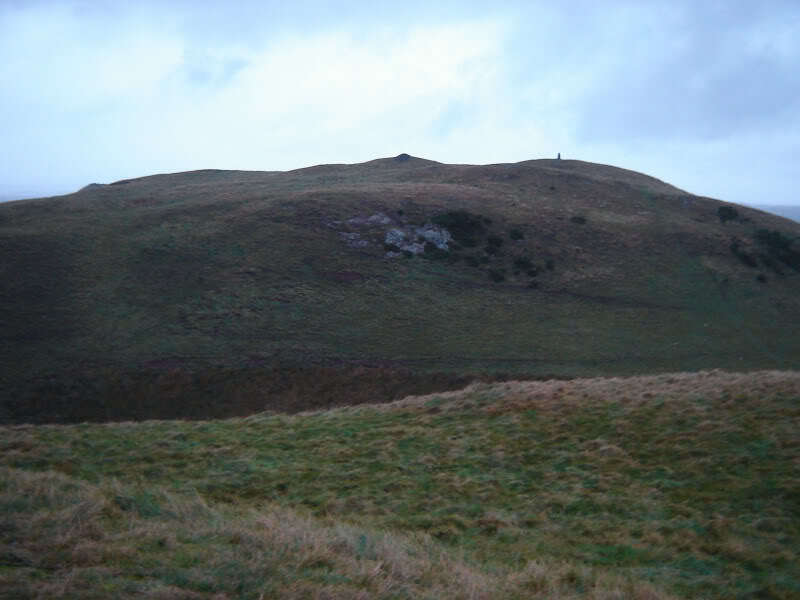 The first hill I ascended was Mount Hill. I parked at NO339159 next to a gate and a “Public Footpath to Mount Hill” sign. 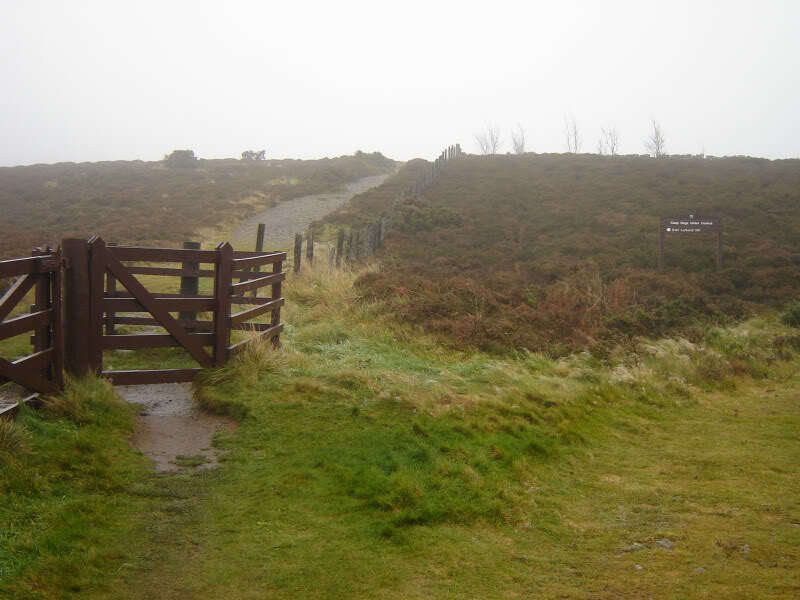 Nice easy walk, just a case of following the signs leading to the monument. 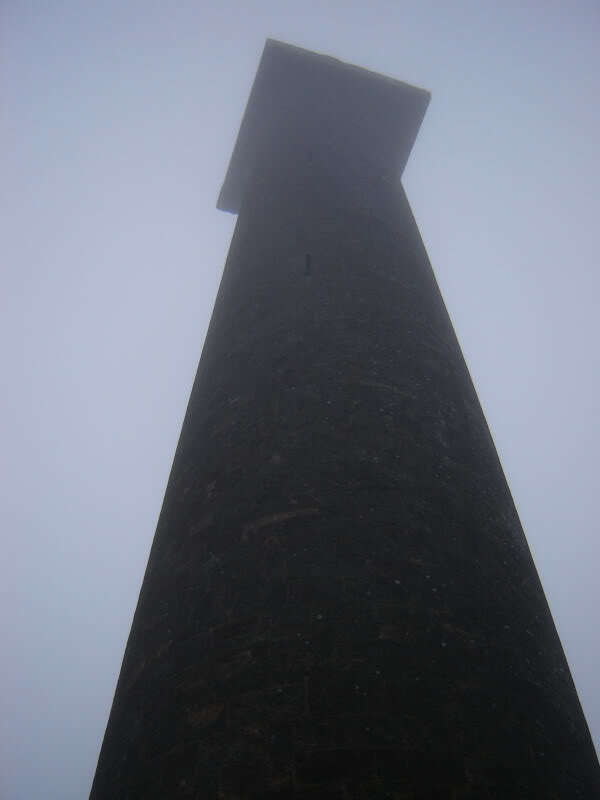 The Hopetoun monument dominates the summit - an impressive 95ft column, erected in 1824 in memory of Sir John Hope, the 4th Earl of Hopetoun. From the summit, I returned to the car via the same route. 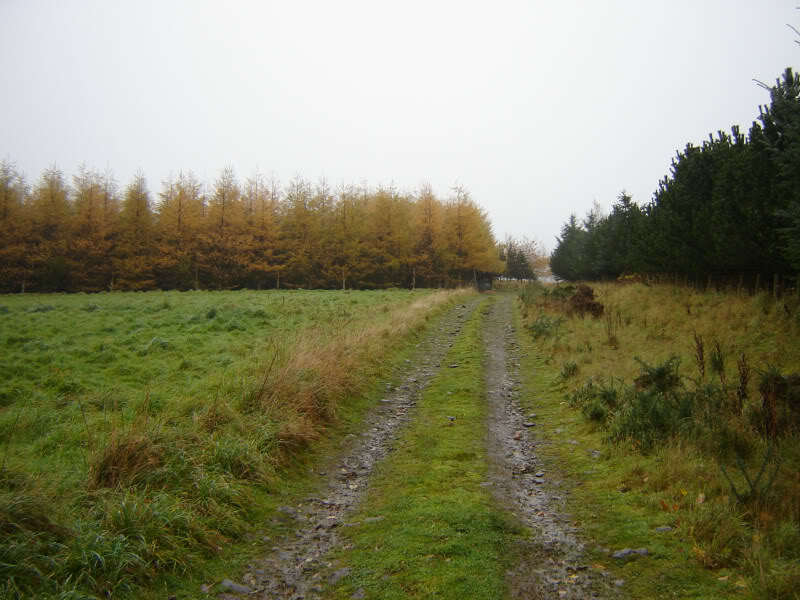 I then drove to NO273153 for an ascent of Cairnie Hill. 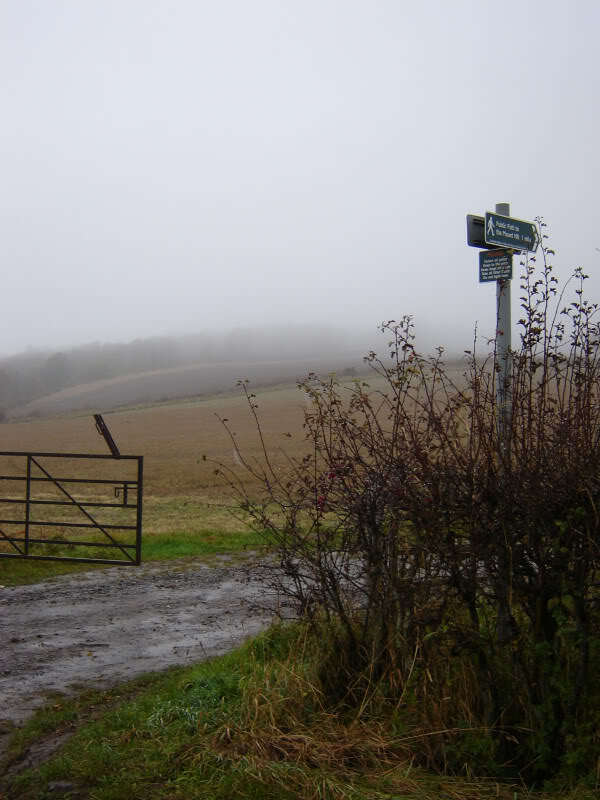 I wasn't sure where to start this walk from, but NO273153 looked ok on the map. I parked just off the road a few metres along the track. 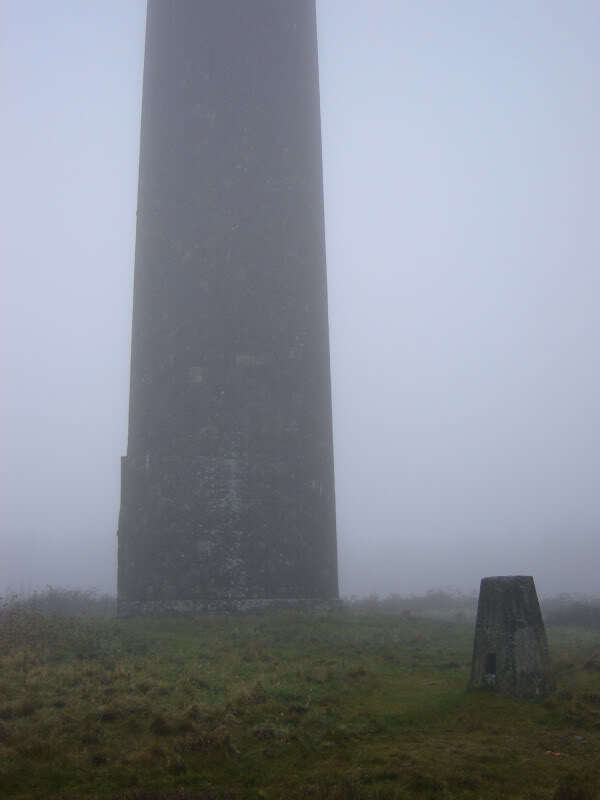 I programmed the summit of this one into the GPS and just made up a route as I went along. 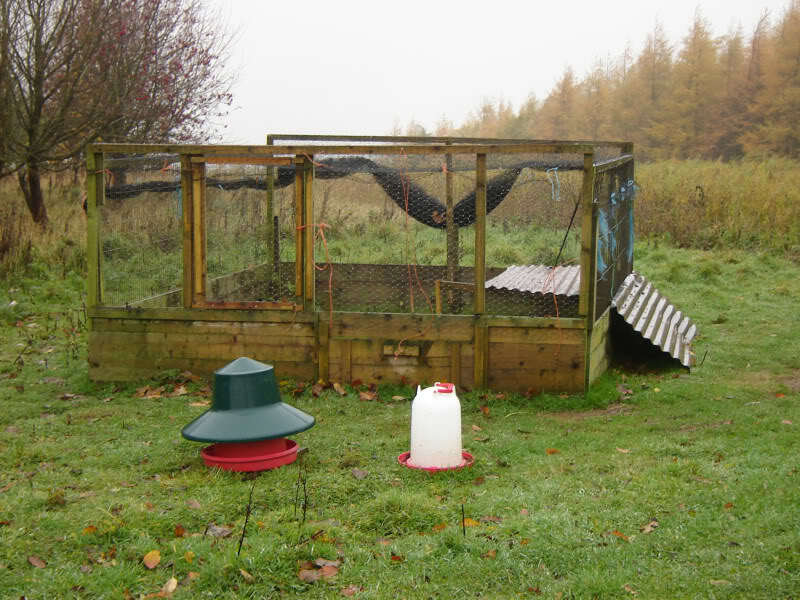 A few minutes after passing the cage, a man in a 4x4 come driving across the grass to stop me. What are you doing? Where are you going? 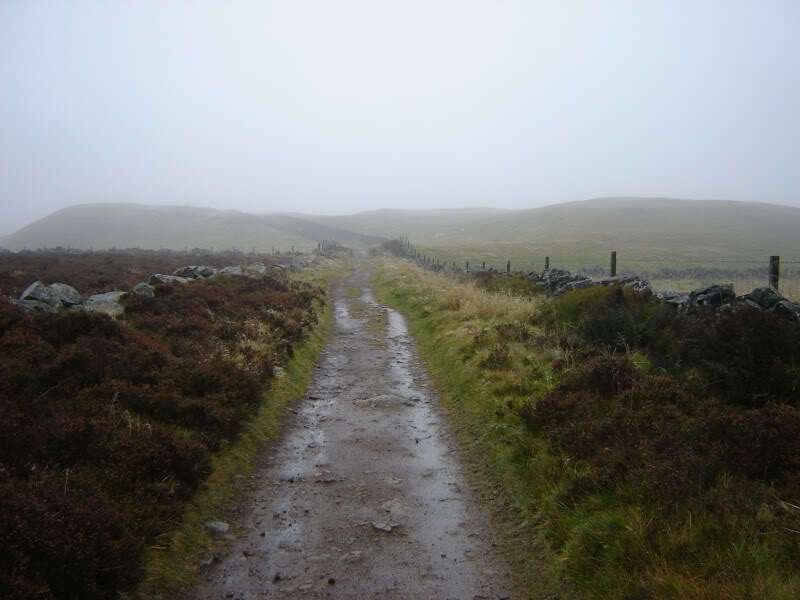 Why are you hillwalking? Why are you taking photographs? Etc.!!! I kept my cool but wasn't impressed. After explaining what I was doing he seemed ok but seemed very suspicious. 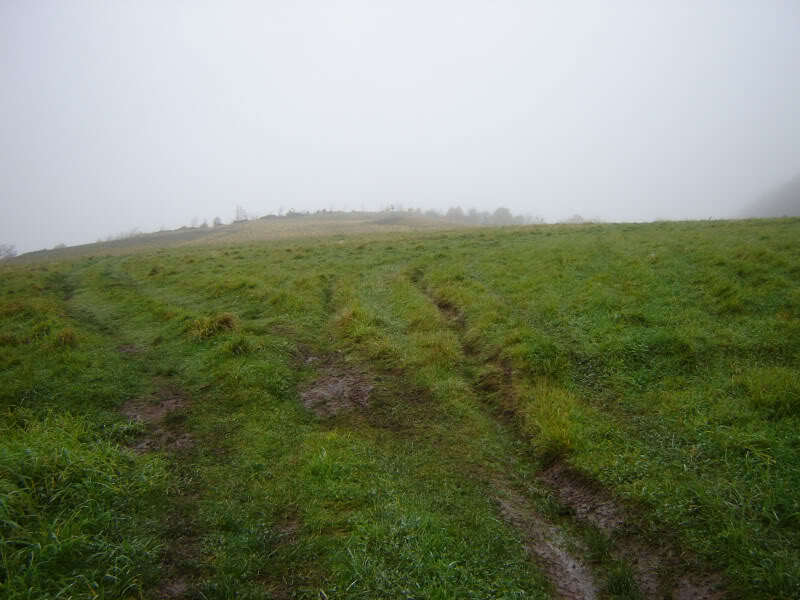 After the man in the 4x4 left, I continued on up the hill to what according to the GPS was the summit. 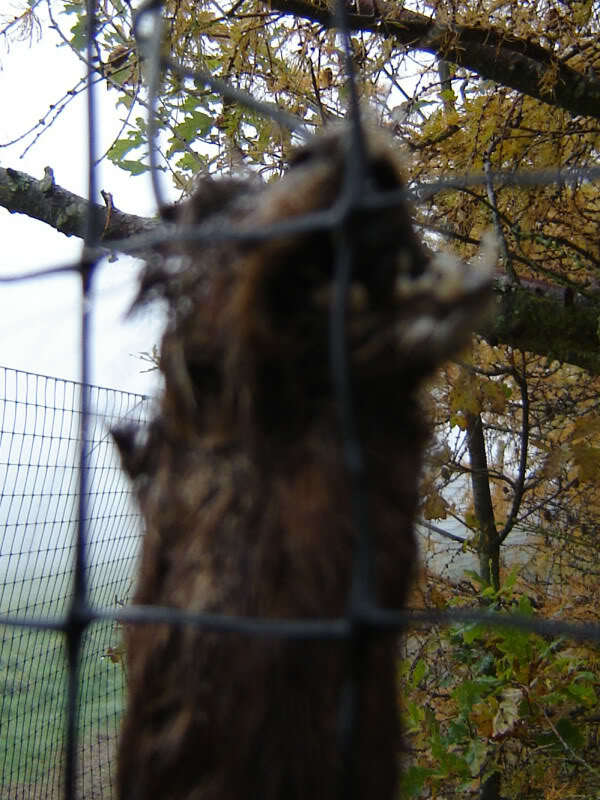 On the way back down, I noticed an animal hanging from the fence that was enclosing trees. Not sure what it is - possibly ferret/mink? I wondered if this was why the man was suspicious of me taking photos. I returned to the car via the same route. 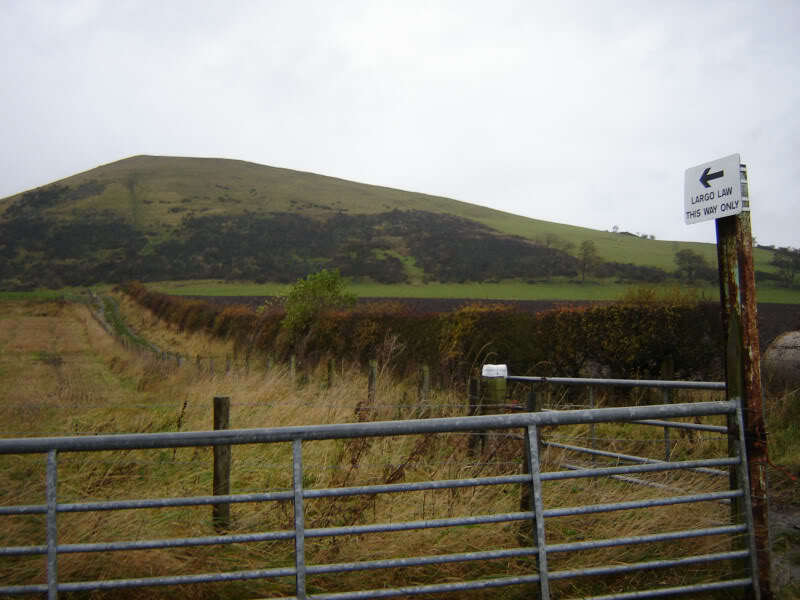 I then made for the Lomond Hills, passing through Auchtermuchty - what a great teuchter sounding place . 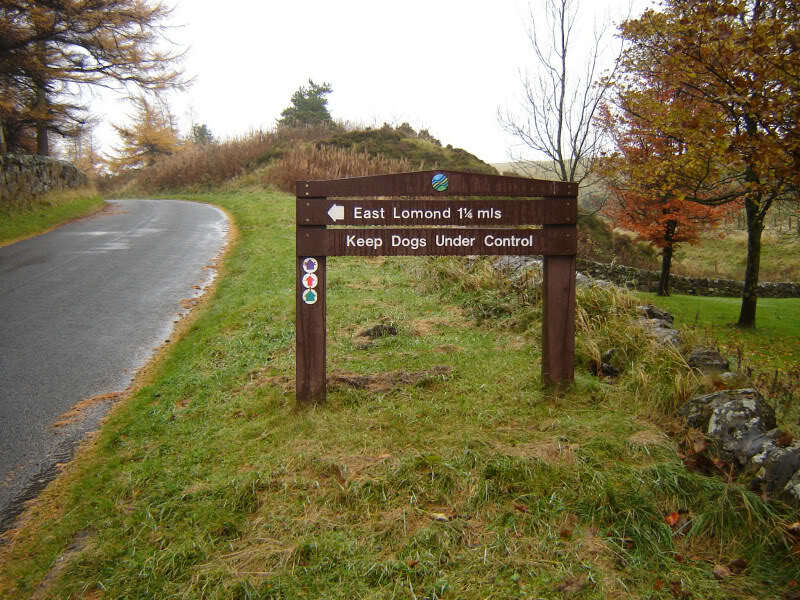 I parked in the car park situated between East and West Lomond. 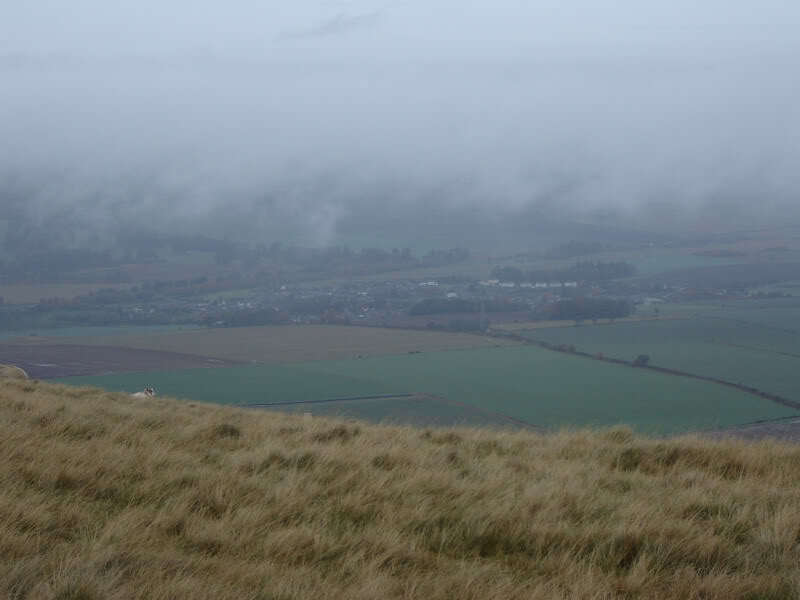 I chose to ascend East Lomond first, hoping that the clag might lift by the time I did West Lomond – fat chance! The path was pretty-good most of the way. It didn't take long to reach the summit. 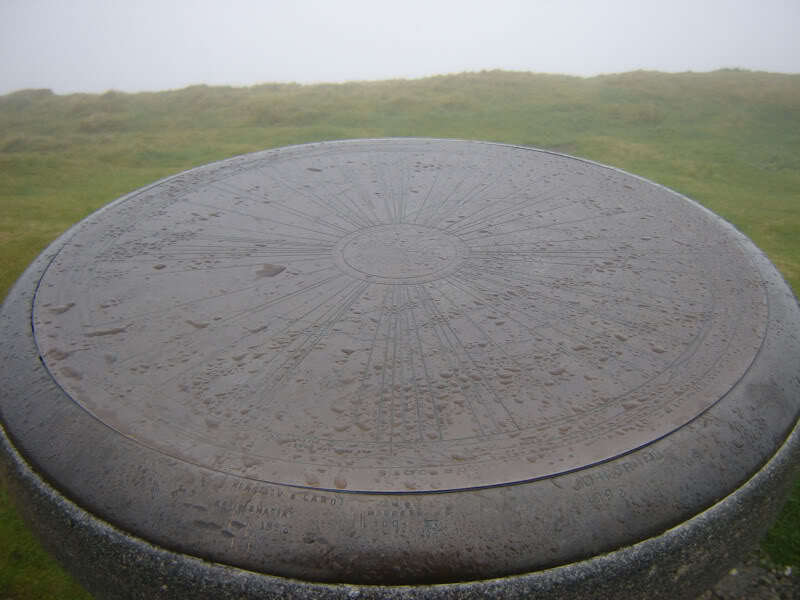 Nice toposcope at the summit, shame I couldn't see anything it described. 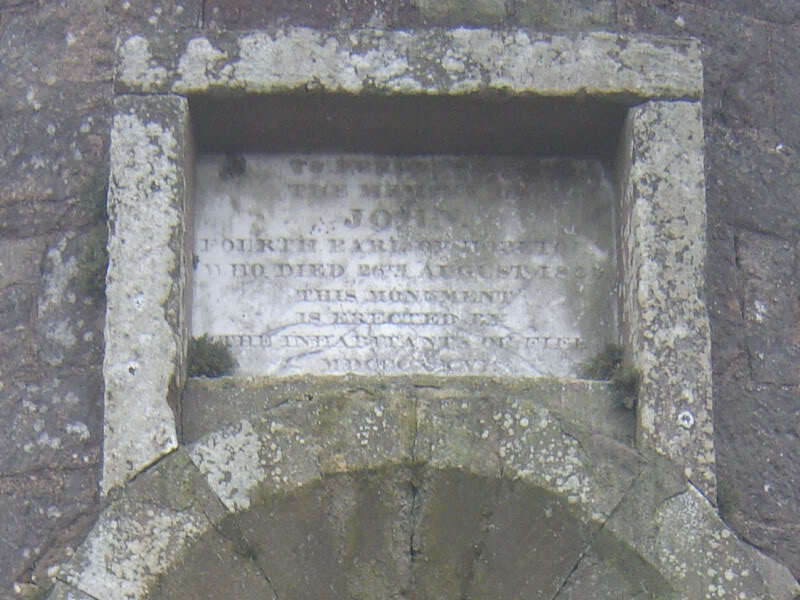 I noticed on the map that there was a trig point. 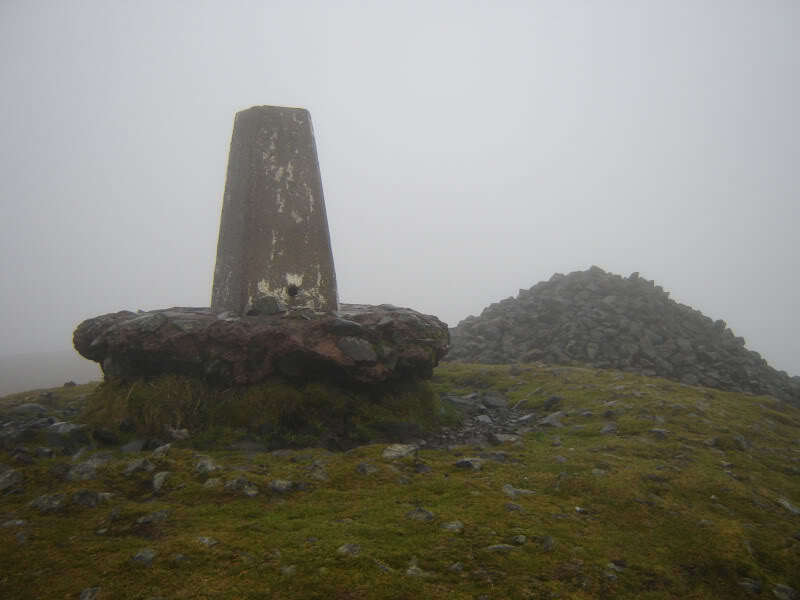 Thought it unusual that the trig point was 10-20m metres below the summit. 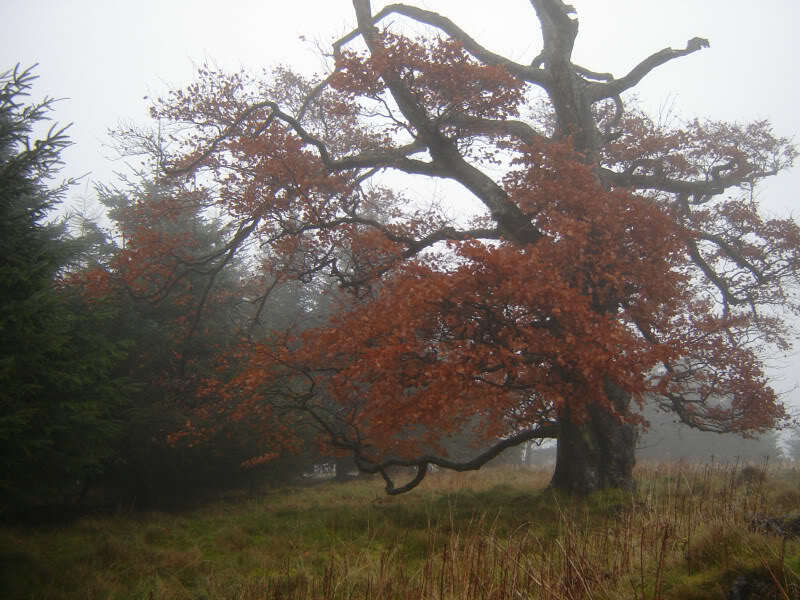 I returned to the car via the same route, stopping for a quick drink before heading for West Lomond. 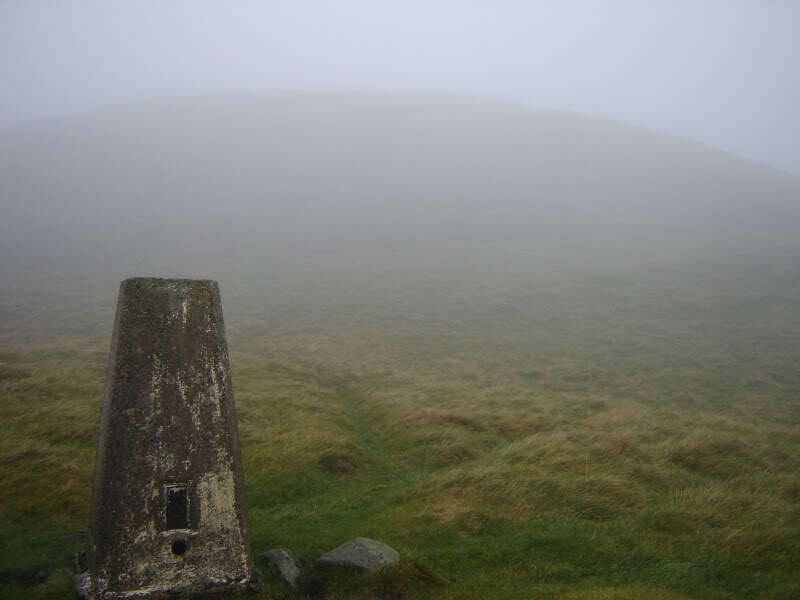 West Lomond was the “biggie” today – a whole 5 miles . 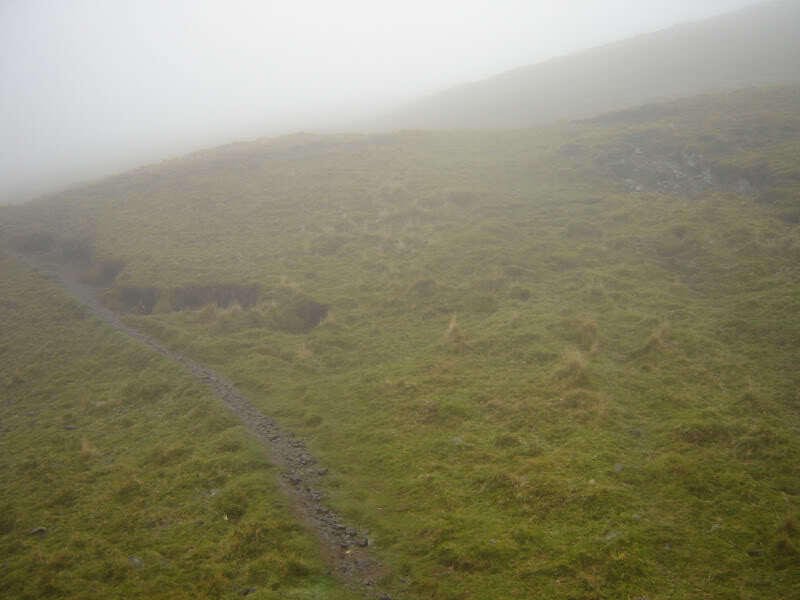 There is a good track for most of the way towards West Lomond. 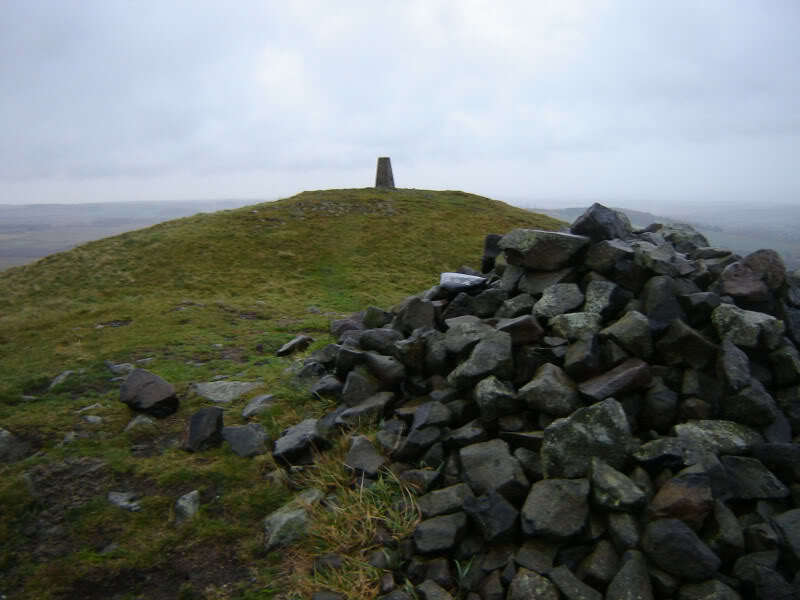 The ground around the trig point looks quite eroded. 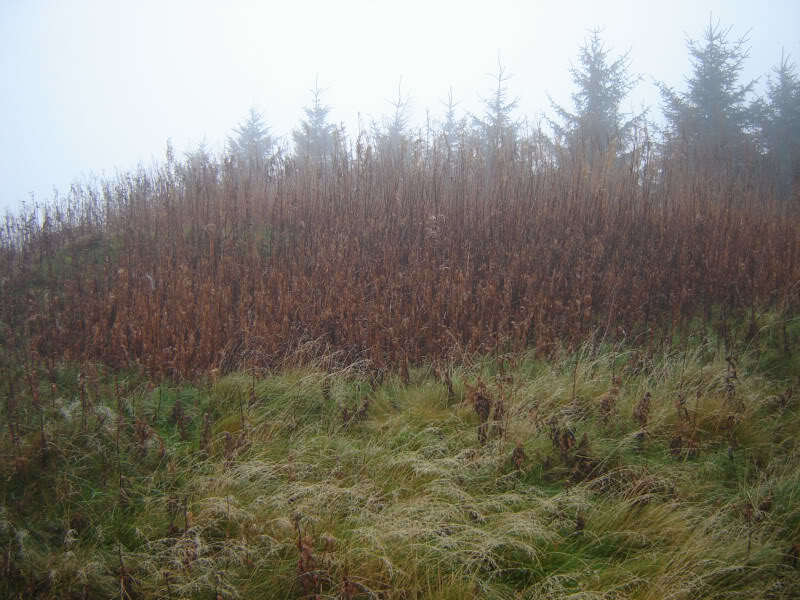 As I walked back from West Lomond at last the clag started to lift. 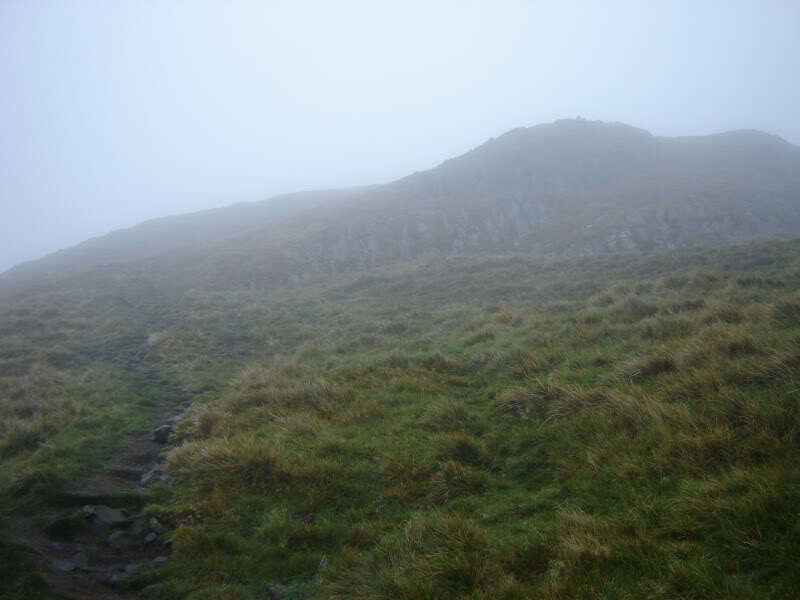 By the time I was almost back to the car, East Lomond was free of clag – my first view of the day. I quite fancied ascending one more Marilyn in the area. 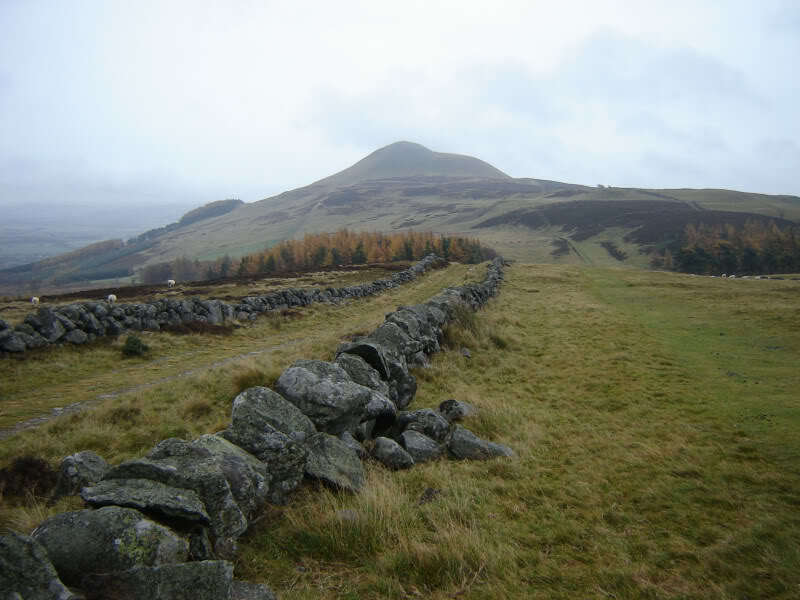 I therefore headed towards Largo Law. My highlight of the day was driving around Fife. 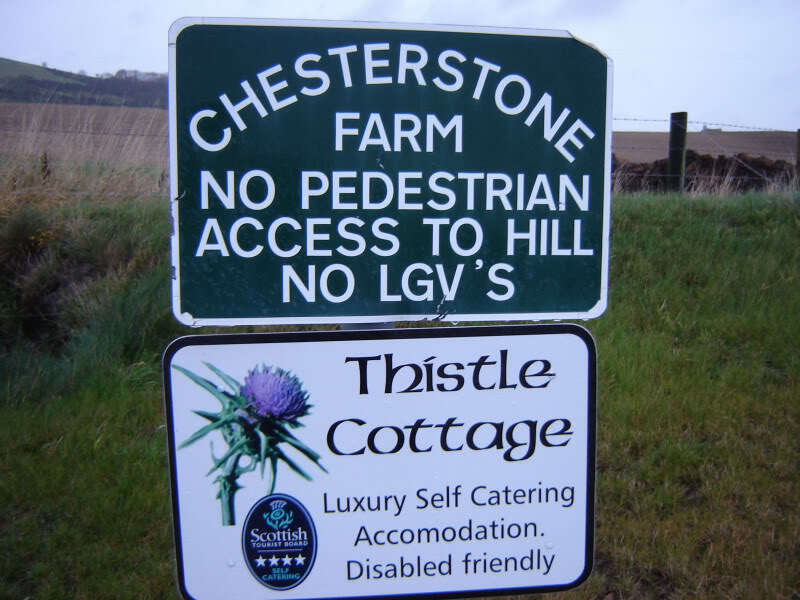 I have only driven through Fife once previously. There are some nice wee towns and villages there . 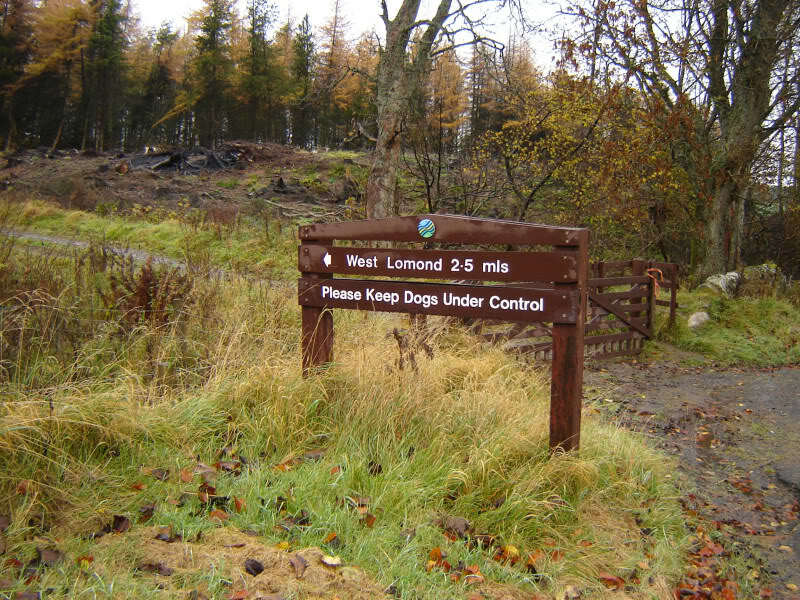 On arriving at my intended starting point for Largo Law, I noticed signs that were not walker friendly. 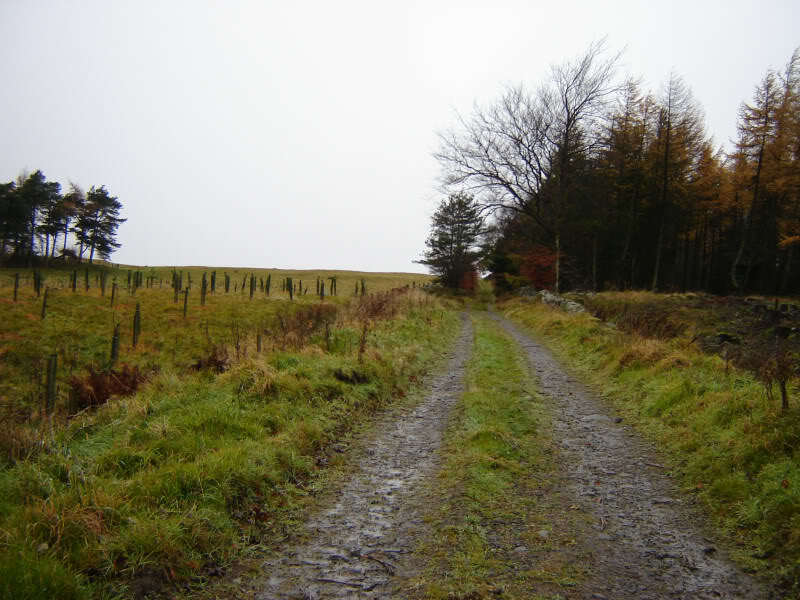 I therefore had a drive about looking for an alternative ascent route. In the end I went back to my original plan and chose to ignore the signs. 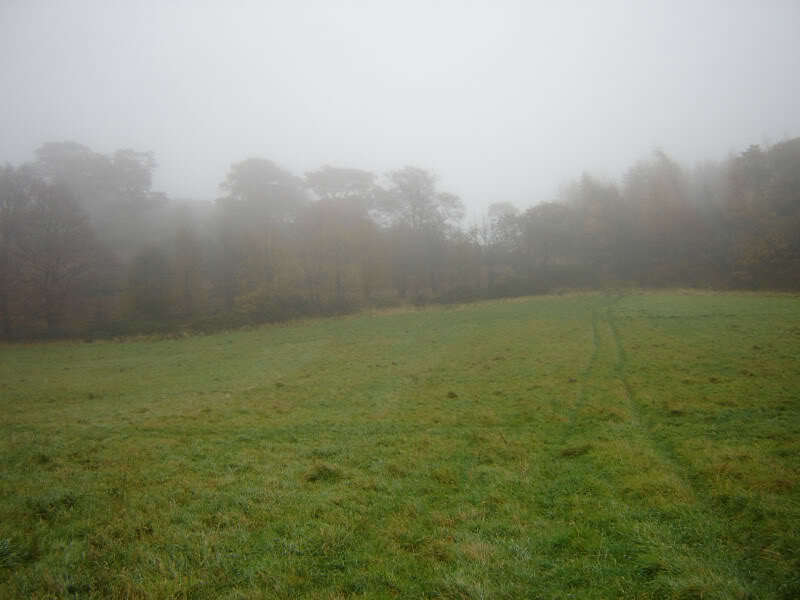 The hills were now out of the clag but the rain was now persistent. 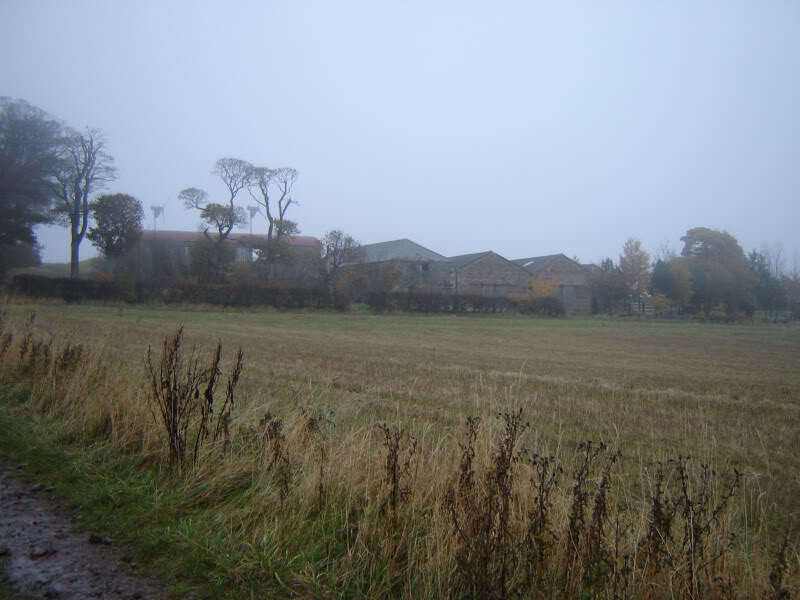 I parked in Upper Largo and then walked back up to the track leading to Chesterstone Farm. 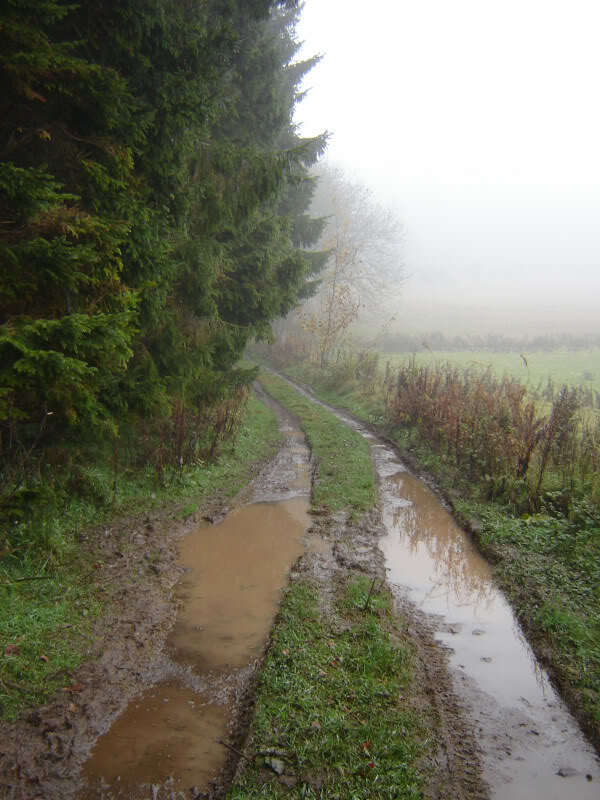 Once past the farm and gate the path became seriously muddy. I didn't have my poles with me today. 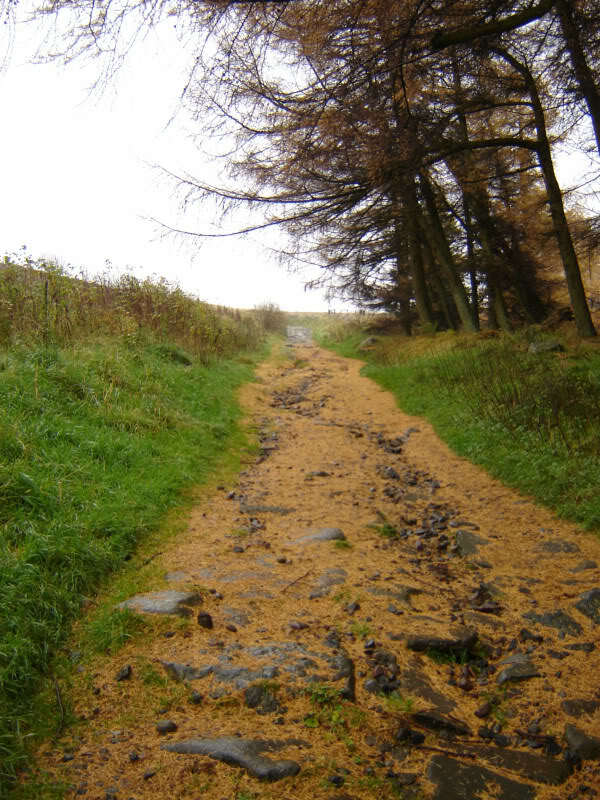 I only managed to ascend the mud by pulling on gorse bush branches to keep upright. 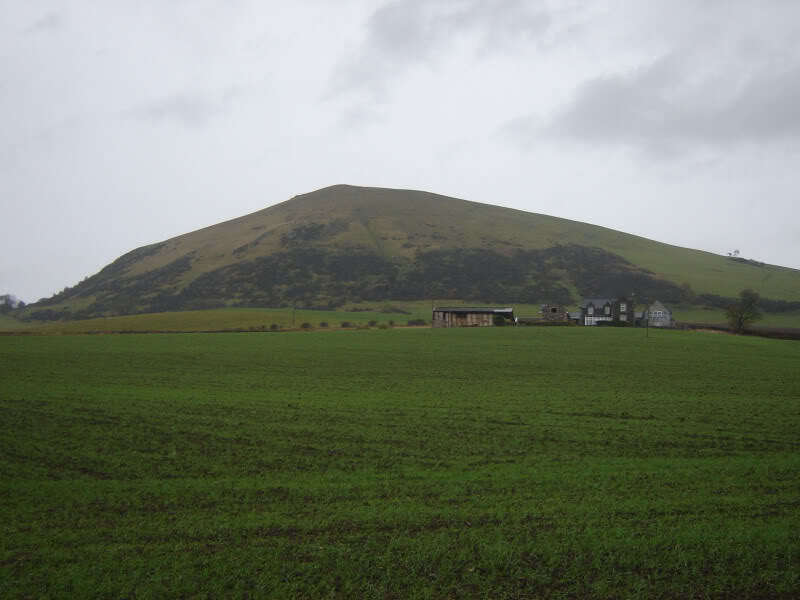 Largo Law is a lovely wee hill. 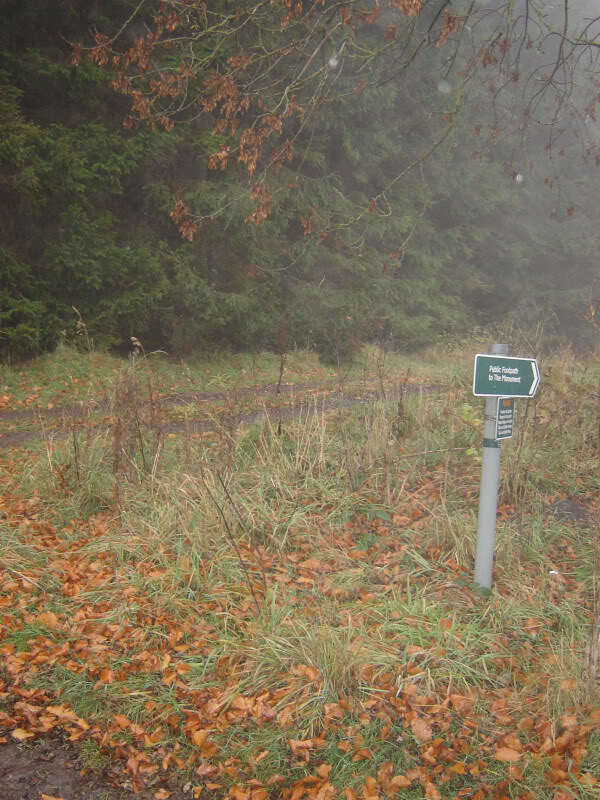 It is a shame that the path is in such a mess and there are non walker friendly signs at the base. 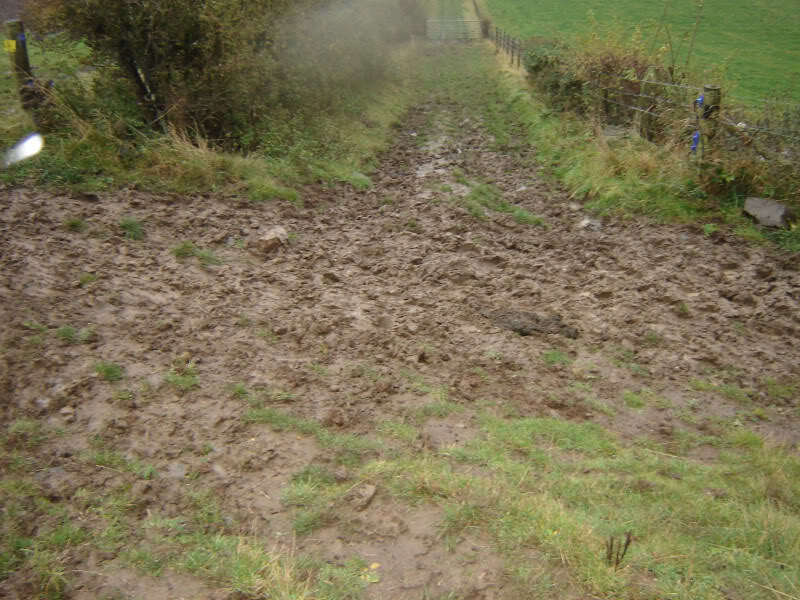 Was great to get past the mud but I struggled with the rest of the walk as I somehow managed to hurt my foot. I returned to the car via the same route. Descending the mud was fun .